MENOMONIE (March 7, 2017) - UW-Stout pitcher Max Sires went the distance to pickup a season-opening 1-0 win over Bethel University, Feb. 27 and was selected as the Wisconsin Intercollegiate Athletic Conference (WIAC) pitcher of the week. Sires went the full seven innings to pick up the season-opening win with a 1-0 shutout over Bethel University (Minn.) at US Bank Stadium on Feb. 27. He scattered five hits, with four strikeouts and one walk. Sires stranded five Bethel base runners, including a runner at third in the top of the first. UW-Stout won the game on a walk-off single in the bottom of the seventh inning. The Blue Devils (2-2) are scheduled to play again at US Bank Stadium, tonight, Tuesday, March 7 when they take on Augsburg College (2-4) at 9:30 p.m. 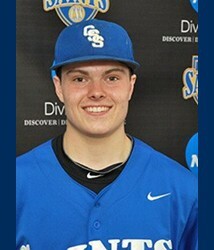 Baseball's Tyler Duex is this week's Wells Fargo Male Performer of the Week. In the team's first four games of the season down in Florida, Duex is 8-for-16 with seven RBIs and 19 total bases. In Friday's win over Spalding University, Duex became the fourth player in program history to hit three home runs in a game, including two in the same inning. Chippewa River Baseball League sees changes with teams, divisions Article by: BRANDON BERG brandon.berg@lee.net Longtime fans of the Chippewa River Baseball League will see changes for the league this season with one longtime team folding, another moving and a familiar team from the area joining the league. 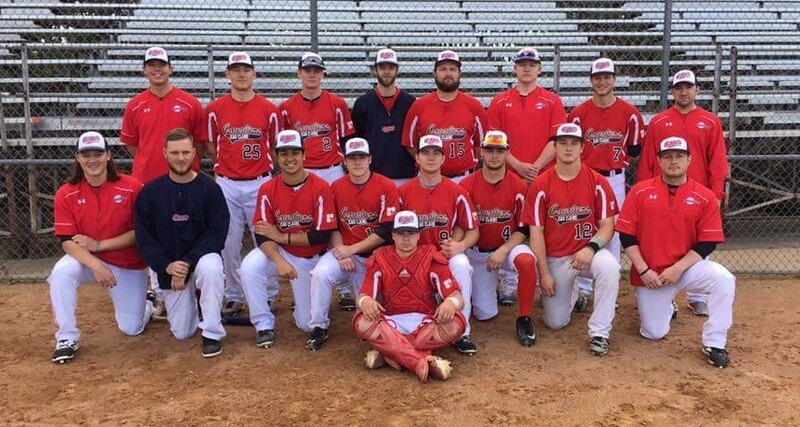 The Hallie Eagles have folded after being in the CRBL for the past 39 seasons. The team had four different managers in the previous four seasons and instability with finding a new manager and players were key factors in the decision. The team played over 650 games in the league with CRBL Hall of Famers Dave Hepfler, Rob Olson and Mike Thalacker playing for the Eagles. The team won three league championships and appeared in six league title games, most recently appearing in the 2009 title game. The Eau Claire Cavaliers have joined the league after most recently playing in the Wisconsin Baseball Association’s Independent league. The Chippewa Falls Lumberjacks have moved to Eau Claire and have been renamed the Eau Claire Rivermen. The Lumberjacks played in Chippewa Falls since 1983 before the move and will give Eau Claire three of the league’s 12 teams overall. The Lumberjacks’ 35 consecutive seasons of play was the third-longest active streak in the league behind only Tilden (66 years) and Hallie (39 years). The Lumberjacks won seven league titles, most recently in 2010 and also appeared in the 2013 league title game. The Cavaliers will play their home games at Carson Park while the Bears and Rivermen will split their games between Stein Field and Fairfax Field in Eau Claire. Get breaking news sent instantly to your inbox The North and South Divisions have been realigned for the changes with the Cavaliers sliding into the North Division with the Bloomer Fightin’ Woodticks, Cadott Red Sox, Jim Falls Sturgeons, Stanley Slammers and Tilden Tigers. The Rivermen are now in the South Division with the Augusta A’s, Beef River Bullfrogs, Eau Claire Bears, Osseo Merchants and Whitehall Wolves. The 2017 league schedule will not be finalized until the the end of February, but no additional changes are expected for the league. All teams will remain with a 22-game league schedule, playing each team twice. 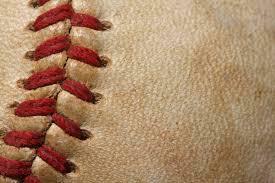 The teams will play 7-inning doubleheaders against non-divisional foes and two 9-inning games with league foes. Wild Card Wednesday will return for its fourth season as the top two non-division champions will square off with the North and South Division winners in the CRBL playoff semifinals with those two winners playing three days later for the league championship. Gardenhire joins Twins; Kincaid to lead Stout program MENOMONIE (January 9, 2017) – Toby Gardenhire has left UW-Stout as the head coach of the Blue Devil baseball team and will join the Minnesota Twins Baseball Club, working in the organization's minor league system as a coach. . Ben Kincaid, who has been the assistant coach with the Blue Devils for the last two years, will take over as head coach, UW-Stout athletic director Duey Naatz announced today Gardenhire, the Blue Devils' head coach for the past five seasons, spent last summer working with the Twins rookie league team in the Golf Coast League (GCL). While Gardenhire has not yet been assigned specific duties with the Twins, he is expected to be in a similar position on a full-time basis. "We would like to thank Toby for his time here and wish him the best in his new position with the Twins," UW-Stout athletic director Duey Naatz said. "We are excited as we look forward to the next phase of UW-Stout baseball with Ben Kincaid leading the program." Gardenhire took over as the head coach of the Blue Devils just before the beginning of the 2012 season, joining the team in January 2015. Gardenhire finished with an 81-116 overall record. During Gardenhire's tenure, the Blue Devils earned 14 All-WIAC selections and three players – Brady Burzynski, Adam Widder, Jake Duske – were selected as WIAC Scholar-Athletes. Kincaid, an Eau Claire native, started with the Blue Devils for the 2015 season and has primarily worked with the pitching staff. In Kincaid's first season, Hayden Bowe was selected as a first team all-conference pitcher, earning one of the best earned run averages in Blue Devil history. Bowe also earned all-Midwest Region honors. "I am truly honored to become the head coach of a program with such a great baseball tradition," Kincaid said. "I want to thank Toby Gardenhire for his determined and tireless work to building this program and for helping me become the coach I am today. He has done a ton for UW-Stout and I know that we are going to miss him. "Toby has been an incredible coach here and I am ready to continue leading this program into the right direction. We have guys that are ready to step up and get ready to work. From the coaching staff to the players, I think we can make some things happen this year. We are going to take it one day, one out, one inning at a time and have some fun this spring." 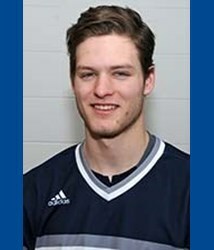 The 2017 UW-Stout baseball season gets underway Monday, Feb. 27 when the Blue Devils will face Bethel University in a doubleheader in the US Bank Stadium in Minneapolis, Minn. Kincaid started his baseball career in Eau Claire, where he attended Eau Claire Memorial High School. A three-year letter winner in baseball and hockey for the Old Abes, Kincaid was named conference and district player of the year his senior year. He was also first team all-conference and all-district and a second team all-state selection. After high school, Kincaid went on to play baseball at Minnesota State University-Mankato. A four year letter winner who played in 149 games during his Maverick baseball career. he finished with a .339 batting average, 38 doubles (fifth on MSU's career list), six home runs and 140 runs batted in (sixth on MSU's career list). As a right-handed pitcher he sported a 14-8 record with a 3.45 earned run average and had 148 strikeouts in 172 innings pitched. Kincaid was named to the All-Central Region team three times in his career. The Mavericks were 173-57, advancing to the Collegiate World Series in both 2010 and 2012. Kincaid played in the New York Collegiate Baseball League in the summer of 2010, earning all-star honors that season playing for the Watertown Wizards. Kincaid has played in the Northwoods League for the Eau Claire Express and was named to the NWL All-star team in 2011. Kincaid continued his playing career with the St. Paul Saints in the summer of 2012. "The athletic department has been nothing but great to me since I've arrived on campus," Kincaid said. "It's truly a blessing to know that I work with such outstanding people who are willing to go through a wall to get UW-Stout to the top of the WIAC." Kincaid is the 29th coach in Blue Devil program history, which began in 1909. Gardenhire had a deep history with the Minnesota Twins. His father, Ron Gardenhire, was an assistant coach with the Twins when the organization won the World Series in 1991 and went on to become the team's manager from 2002-14. Toby Gardenhire, an infielder, played his college ball at the University of Arkansas-Fort Smith Junior College, at Southwest Missouri State and then finished at the University of Illinois when the Illini won the 2005 Big Ten championship. While in college, Gardenhire played summer ball for the Rochester, Minn., Honkers in the Northwoods League, earning the most inspirational player award in 2005. Gardenhire was drafted by the Minnesota Twins in 2002 and again in 2005. He played with the organization's minor league teams from 2005-11. Gardenhire worked his way through the farm clubs, earning the 10th Man award for the AA New Britain, Conn., Rock Cats and received the Most Popular award with AAA Rochester, Minn., Red Wings in 2011. Gardenhire received his bachelor's degree from the University of Illinois in community health in 2005. In addition to serving as head baseball coach, Gardenhire is also an instructor in the UW-Stout Physical Education Department. Gardenhire was married to Lindsay Wlaschin only four days after officially beginning his coaching duties at Stout. While head coach with the Blue Devils, Gardenhire was selected to play with the German National Baseball Team as Germany attempted to qualify to the 2012 World Baseball Classic. During the 2015 season, the Blue Devils also learned a valuable lesson during one of their community service projects. Inspired to become part of the "Be The Match" program, a bone marrow transplant registry, in part because of Blue Devils pitcher Hayden Bowe's father, who has a form of leukemia, Gardenhire was selected as a bone marrow match and underwent the surgery twice. The Eau Claire Cavaliers were formed to provide, promote and field a baseball team that shall compete at the highest level of competition. Local players will have the opportunity to join the Cavaliers and represent the organization through their play and in promoting community interest in the team and baseball at all age levels. 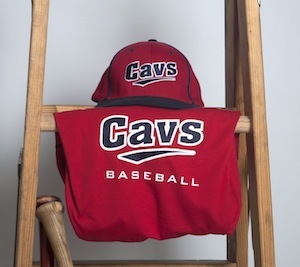 The Cavaliers are members of the Chippewa River Baseball League. 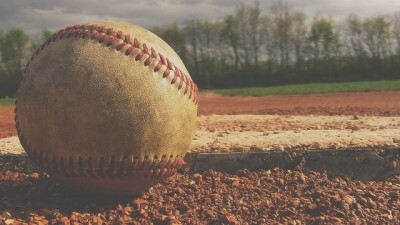 The success of the team through league play will determine their participation in the CRBL Tournament series. Other non-league opponents from Wisconsin, Minnesota and Illinois will be added to the schedule to help the team prepare for their league and tournament competition.